Buying a boat, whether it is sail or power, is potentially going to feel like the second largest investment you make in your life. Buying a boat should be an exciting and satisfying experience, but as with most things in life, not without its pitfalls. As professional brokers we see our role as helping you to weigh up the pros and cons of buying a boat, whether it be new or second hand. This decision is usually driven by the market conditions at the time and the state of your pocket. 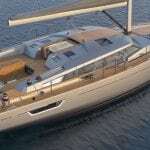 Maintenance, including annual engine servicing, anti-fouling, etc. Buying a boat through a professional yacht broker makes the process comparatively easy and trouble free. We will be able to offer advice on which boats are suitable for your requirements and then handle the viewing arrangements. Once you have found the boat of your dreams, we will deal with all the negotiations with the vendor to arrive at an acceptable offer. We will then require a 10% deposit from you, which we hold in our dedicated Clients Account, pending any survey being carried out and any other conditions on the purchase being met. If finance is required, we can help arrange marine mortgages. There may be further negotiation required after the survey has been completed, which we will again conduct on your behalf. If any quotes are required for remedial work, we can point you in the right direction. Once a final sale price has been agreed, we will handle the balance payment, which again is deposited in our Clients Account, as well as all the necessary paperwork such as proof of ownership, VAT (where applicable) and Bill of Sale in your favour. Once we have received cleared funds and ownership has passed to you, we settle our account with the vendor including any yard debts or mortgages that may be outstanding. Buying a boat, whether it is a sailing boat or a motor cruiser, is potentially going to feel like the second largest investment you make in your life. Buying a boat should be an exciting and satisfying experience, but as with most things in life, not without its pitfalls. The following is a list of the top ten things to consider/look for when buying a boat. When considering buying a boat, you must first decide which type of boat best suits your requirements. You need to weigh up the pros and cons of buying new or second-hand. The decision is usually driven by the conditions at the time and the state of your pocket. There are genuine bargains to be found, but the old cliché “if it looks too good to be true, it probably is” often applies. It is well worth taking some time to consider just what it is you want to achieve from your time on the water, what type of use you intend to put your boat to: are you interested in racing, will you be cruising off-shore. This will help you to decide where to keep your boat, in a marina, on a swinging mooring or does it need to be kept on a trailer. Don’t forget that the purchase cost is only part of the financial commitment to enjoying your new dream boat. Remember to find out the running costs before buying a boat, as it would be a shame not to be able to use the boat once it is yours. There are many different locations to look for a boat, from the local post office window, local newspapers, yacht club notice boards, yachting magazines, numerous web sites or through a professional broker. A professional broker will ask you to give them contact details so that they can inform you of any boats that meet your requirements. In this respect consider what are the top five things you are looking for in your prospective boat: length, number and size of engine, number of berths, type of vessel, location, draft and budget. Remember as a buyer it does not cost you a thing to register with a broker, but you can help them to help you by giving them as much information as possible on what it is you are looking for. Don’t forget to update them if your requirements change. Remember buying a boat is similar to buying a house in that many insurance companies will not insure a vessel without understanding the condition of the vessel they are insuring. The easiest way to achieve this is to have a marine survey completed. Not only will this help you to get insurance, but it will also highlight any immediate and potential maintenance issues that need to be addressed. A good surveyor will also make any recommendations on additional safety equipment that should be fitted to bring the vessel up to the latest suggested safety standards. Buying a boat is no different to purchasing any other item such as a car or furniture. The law does not stipulate a process for the sale and purchase as there is with the sale of land. However, we would recommend that a written sale and purchase agreement is used on all boat purchases. Verbal agreements are perfectly valid in law, however they are very difficult to prove and any disagreement will come down to one person’s word against another. The RYA offers members a standard form of agreement that can be used. A professional broker will use either the BMF or ABYA, contract which this not only sets out the rights and duties of the buyer and seller but also the broker who is acting on behalf of both parties. 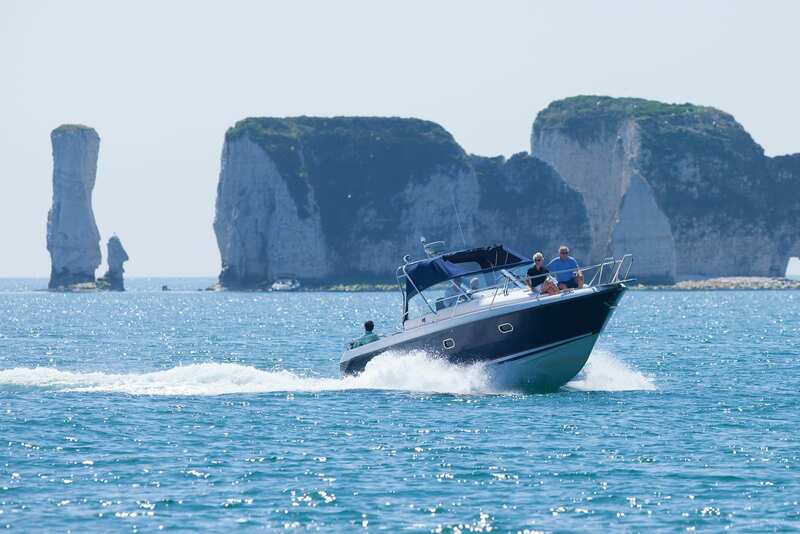 It is usual to pay a deposit to secure the purchase of a boat, but it is not a legal requirement. Therefore, both the seller and buyer may negotiate whether or not a deposit is paid. As a purchaser, you should ensure that the payment of deposit acts as security that the seller will not offer the boat for sale to any other person. If you are buying through a broker they will normally request a deposit which should be paid into a bona fide designated Client Account. Any professional broker will be more than willing to provide evidence from their bank on the status of the account that the funds are being paid into. As a buyer you will want to make sure that the person you are buying from is the legal owner of the vessel and has the authority to sell the boat. Therefore, before you commit funds to having the boat lifted for surveyed make sure that you have seen sight of all of the appropriate title documents proof of ownership. If they are not available at a later stage it can not only hold up completion of the sale but in some cases and cause the sale not to complete. A good broker will always provide advice and guidance on what documentation is required for a particular vessel. It is important that you know and have proof of the VAT status of the boat you are buying, i.e. whether VAT is paid or the vessel is exempt. If the boat was built post 1985 the best way to show this is to have the original VAT paid invoice. If you are not sure always speak to a professional broker who will be able to give you advice on the documentation required. Remember if you cannot confirm the VAT status of the vessel you are buying it may cause you issues when you come to sell it in the future. Unlike a car there is no legal obligation or authority to make sure your vessel is insured. If you are planning on keeping your vessel on either a club mooring, local authority mooring or in a marina most organisations will require sight of your insurance certificate. The insurance market is very competitive so shop around. Don’t forget to ask in your local club, who people are insured with and in particular, the experience of people if they have had to claim. Remember the cheapest may not be the best when it comes to sorting out a claim. Once the survey has been concluded and any defects dealt with between the parties the purchaser will proceed to completion. If the boat is Part I Registered you can request a search of the UK Ship Register for a copy of the Transcript of the Register. If the boat is Part I Registered, any mortgages on the boat may be noted on the Register in order to be valid as against subsequent purchasers. Completion itself involves the transfer of the balance of the purchase monies by the purchaser and a simultaneous handover of the ‘title documents’ of the boat. We would suggest that you request sight of these documents well in advance of completion and so should not be getting any late surprises. At the very least you should receive Bills of Sale going back at least 5 years, Certificate of Registry if registered, proof of VAT status and proof of RCD compliance if required. A professional broker will normally talk you through all of the documentation they have available and will send these to you once completion has taken place. Remember to keep these documents in a safe place as they cannot be replaced.